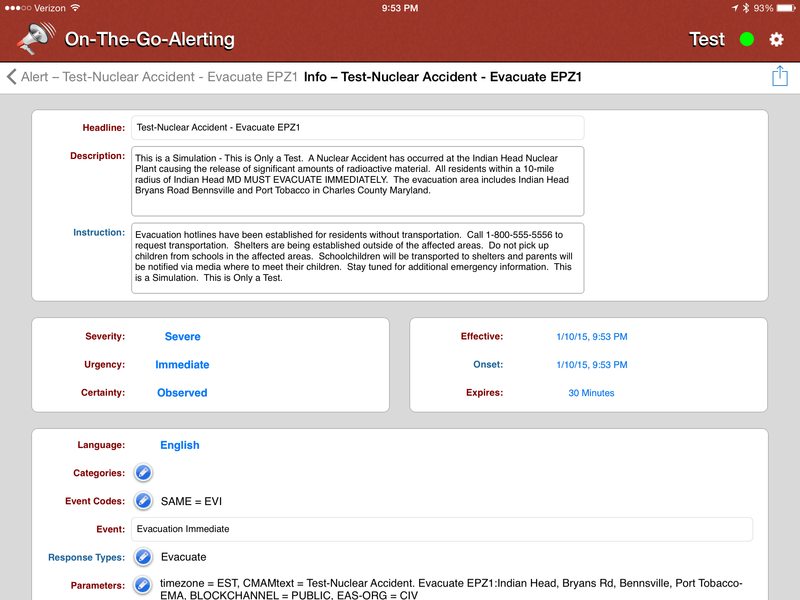 The iPad App for sending emergency alerts. 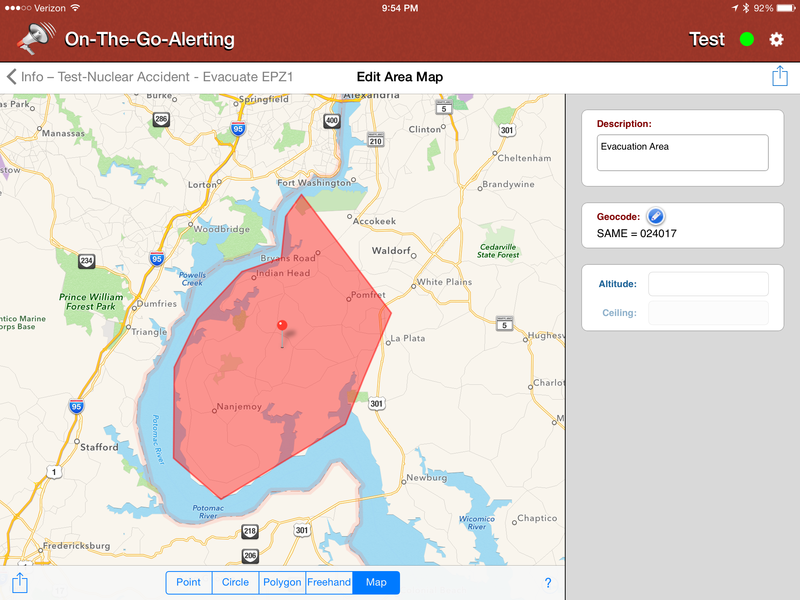 On-The-Go Alerting is an alert and warning origination application that provides interoperability with the Federal Government’s Integrated Public Alert and Warning System (IPAWS) to allow authorized users to send alerts (CAP-Common Alerting Protocol) and warnings to the public and emergency management organizations. The IPAWS provides dissemination of alerts and warnings through various channels including the Emergency Alerting System (EAS), NOAA Weather Radio and the Commercial Mobile Alerting System (CMAS). 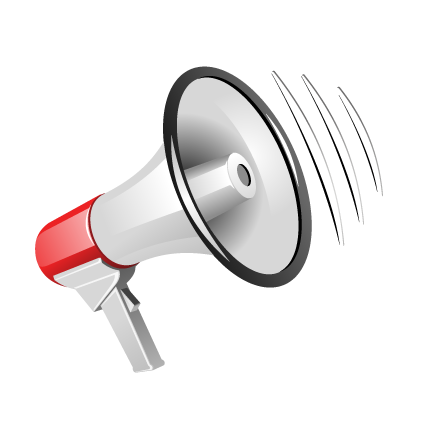 On-The-Go Alerting is capable of authoring and transmitting CAP, IPAWS and NWEM formatted alerts and warnings. The application also provides other beneficial features such as mapping of alerts and other relevant data in order to provide a mobile common operational picture (COP) that assists with situational awareness and response efforts. Create and transmit Alert messages from your iPad. Receive alerts via Alert Syncing. 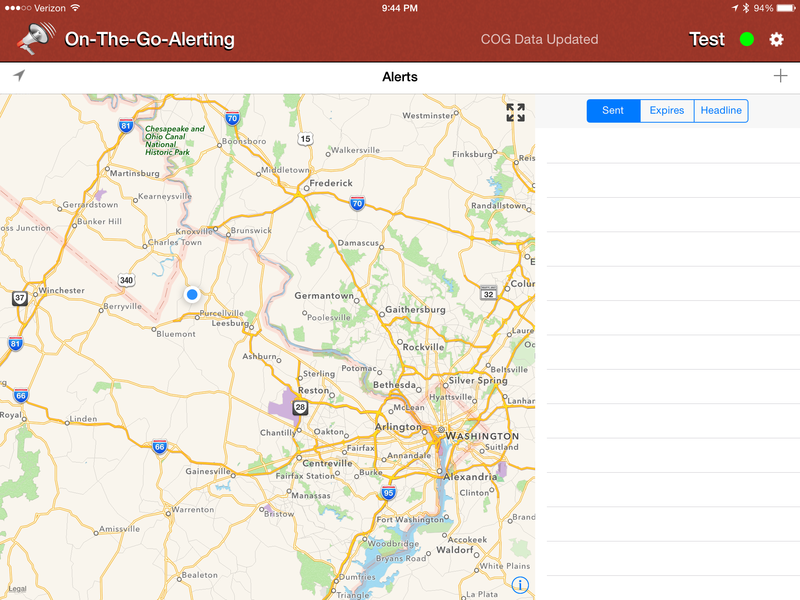 See where Alerts are happening on the Alert Map. Draw affected areas directly on the map. Send CAP XML 1.2 messages using the IPAWS-OPEN server. Supports EAS, NWEM, and WEA message formats. See the FAQ or Contact Us for more information.